Triumph & Tragedy, REVOK&apos;s debut showing in Germany, opened at Vicious Gallery on December 3, 2011. For the show, the LA-based artist employed materials found while exploring old factories in Detroit. The results are stunning, and prove his ability to translate his "WOW" inducing murals to smaller scale gallery work. 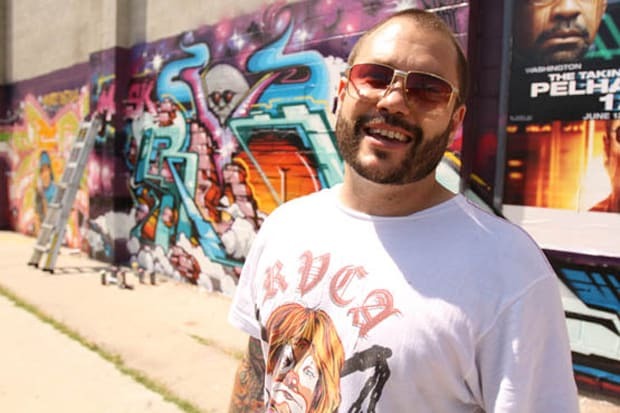 We could say a lot more about REVOK, but honestly we don&apos;t have to, his importance to 2011&apos;s art scene is undeniable.